The Index continues forming an ascending impulse inside wave . On the minor wave level the price is forming the fifth wave. 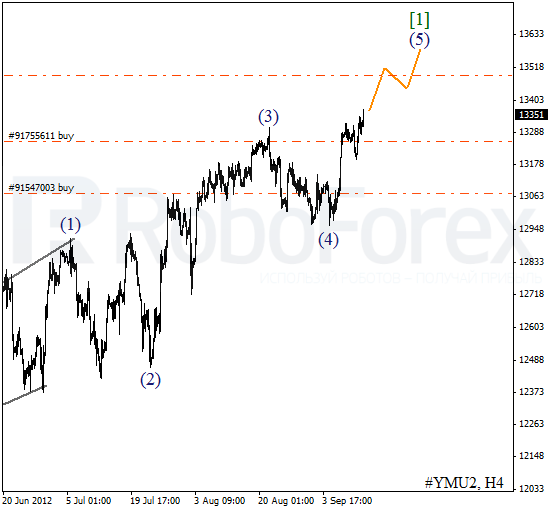 In the near term, the Index is expected to continue growing up and the bulls may reach the level of 13600. More detailed wave structure is shown on the H1 chart. The price finished the local correction and then started moving upwards. In the nearest future we can expect the Index to continue growing up inside wave 3. 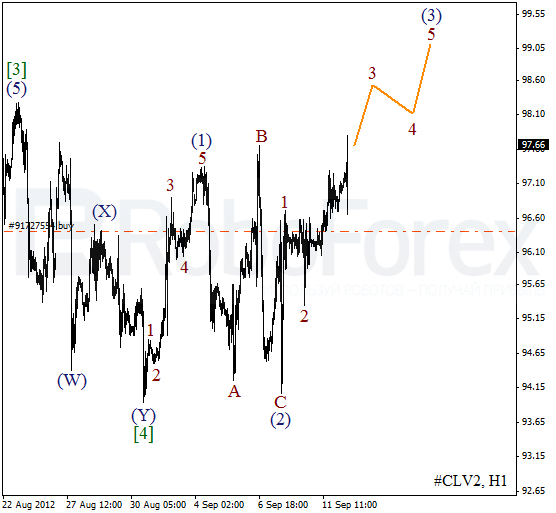 Oil continues moving upwards slowly inside wave (3). 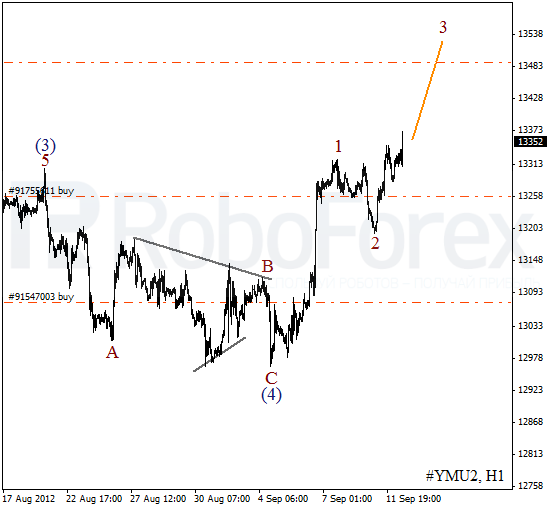 Earlier the price finished the second wave in the form of an irregular correction. We can’t exclude a possibility that the instrument may break the local maximum during the next several days. 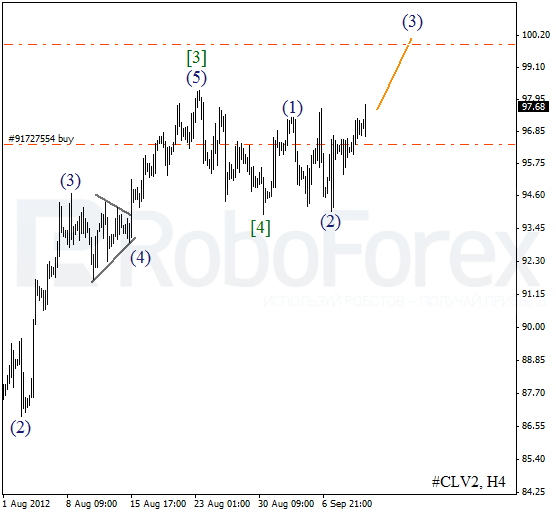 At the H1 chart Oil is forming an extension inside wave (3). On the minor wave level the price is forming wave 3. The forecast of the price movement is still bearish, but nevertheless I’ve decided to move the stop on buy order into the black.